OPINION: "Disney Launches Web Series... What This Means For Characters"
Discussion in 'General Discussion' started by MrBloogarFoobly, Aug 8, 2014. Over the past decade or so, Disney has had uncanny success in terms of acquiring companies that expand and strengthen their brand: they absorbed creative partners Pixar, leading to greater synergy and more output from the Emeryville, California-based animation studio, and bought both Marvel and Lucasfilm, two studios whose library of characters and seemingly unlimited output means untold revenues and cross-promotional possibilities for years to come. But one acquisition that hasn't paid off well was the studio's purchase of Jim Henson's Muppets in 2004. As Disney launches a new digital series with the characters, it seems that they have moved out of the spotlight and into a holding pattern as the company tries to decide what, exactly, to do with them. The announcement of the digital series is designed to be an exciting extension of the brand, on the eve of the release of this spring's oddly underrated "Muppets Most Wanted" on home video (the "unnecessarily extended" version of the movie is even zanier than the theatrical cut and highly recommended). But what this announcement also effectively makes clear is the end of the Muppets as a viable property for the film and television divisions of the company; from now on the Muppets are part of the interactive team. Which means that they will be doing things like these digital series or perhaps even do small promotional pushes for other films and television series under the Disney umbrella. But a third Muppet movie? Or a new Muppet TV show? That just isn't happening. Earlier this year, Disney Theatrical quietly workshopped a Muppet stage show for Broadway, but found that the small characters, in such a cavernous space, would oftentimes get lost, and they couldn't figure out a viable solution to the problem. (They were unwilling to make the puppeteers visible, which is the common work-around, as utilized in "Avenue Q" and "The Lion King.") After the Broadway test went bust, Disney decided to relocate the characters away from the studios and into the interactive side of things, where they could be better suited and gain more exposure, without the pricey overhead and marketing costs of something like a new movie or television series. What makes this so heartbreaking isn't just the idea that the pop culture landscape will be largely Muppet-free (or at the very least Muppet-light) for the foreseeable future, but because Jim Henson himself was so stoked about having the Muppets join Disney. In 1989 the "Muppet*Vision 3D" attraction premiered at Disney-MGM Studios in Florida, and plans began, in earnest, for Disney to take over the characters. As recounted in last year's dazzling Henson biography (by Brian Jay Jones), Henson had grown weary of operating the company on a day-to-day basis and was worn down by the critical and commercial indifference that his experimental network series "The Jim Henson Hour" had received. He was sure that Disney was the right place for his beloved characters, and intended to sign them over, and come on board in a creative capacity, when Henson unexpectedly died. In 1989, just before his death, a trade ad ran that featured Kermit smiling happily, his shadow now in the form of Mickey Mouse's. The text read: "Notice anything different?" Henson properties would remain tenuously connected to Disney for many years, including throughout the productions of "Muppet Christmas Carol" and "Muppet Treasure Island" and a handful of television properties that would run on Disney-owned network ABC, but the characters wouldn't be retained officially by the company until 2004, at which point much of the impact of the characters had dissipated thanks to mismanagement and an unwise sale of the characters to a German conglomerate. In many ways the purchase felt like Eisner finally seeing something through that he had tried to do once before but couldn't quite manage. Disney now had the Muppets. But they didn't know what to do with them. That's kind of where the studio is now, with both 2011's "The Muppets" and this year's "Muppets Most Wanted" under-performing at the box office, and little interest in expanding the brand in the theme parks or on television. So now they're headed to digital, where they'll appear in short films and other small stuff. This doesn't mean that there will never, ever be another Muppets movie or TV show. It just means that such a thing won't happen for a very long time. The Muppets need to rebuild their cred and Disney needs to get a handle on how to emphasize this cred. Otherwise they're just going to end up a bunch of puppets in a drawer somewhere. Let's be honest. A TV show was never in the cards. 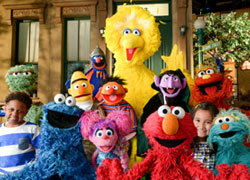 The television landscape is too volatile for a Muppet themed show since the last 2 didn't manage to last that long. And The Muppet Show owes all its success to a special kind of syndication that doesn't exist anymore. Only original programs there are 90's style sleaze talk shows and judge programs that appeal to a denominator even lower than the lowest. Gone are the days of the campy, low budget syndicated action show. There's no money in it, there's no effort there. A Muppet TV show would last a couple weeks with the rest of the episodes being burned off in the summer before being replaced with yet another singing competition that's exactly like every other one out there with one twist. And no one cares when whoever wins wins. This last season saw many Tv shows with big stars that got pulled because the ratings were good, but not good enough to warrant the huge budgets caused by the massive paychecks the big name stars got. And Two and a Half Men got renewed yet again. I don't think anything's going to thrive in this atmosphere. Especially the big comic book shows that comic geeks were excited about and will no doubt think they're the worst things ever because a television budget can't compete with their fan ficky, "we just saw all the huge budget comic films" ideals. As long as Disney doesn't completely bury them in the attic, then this won't be too bad. Ya, that's true, the show might last longer if it were ABC Studios, but even then, no longer than The Neighbors. It's annoying that TV is so violent these days, if it were this violent in the 50's-80's then many of shows now renowed classics would be off the air with less than a season.Though you've got to realize JHH and MT were doomed before they even premiered for two reasons each. JHH, because 1. Half of it wasn't even a muppet show, and 2. The time slot was EXTREMELY weak. MT was cancelled, because 1. Again, the time slot was bad, and 2. KERMIT WASN'T THE HOST! NOW why would ONE OF THE MOST UNKNOWN MUPPETS HOST A MUPPET SHOW? Seriously, Clifford? It's the equivalent if they made a new muppet show today, and made Janice the host. I mean I don't really mind it, but all those weirdos who don't see the frog hosting immediatly hate the show. Even with that said, you've got to realize that MT was a MID-SEASON SHOW! Think about it, what mid-season show ever got renewed...the only one I can think of is Ressurection, and that's only because it got like double digit plus ratings. It doesn't work out. MT just didn't have a chance, and neither did JHH. 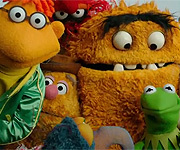 If a muppet show were to be made today, I can't say it would thrive, but would it really have the same fate as JHH or MT? If Kermit were the host, and it was a sitcom, and with Disney as ABC's parent company then I could see it making it past season 1. Nostalgic factor could win over, but then again, nowadays the muppets are targeted more to the younger ones, so even if they made a new show, then it'd be on the Disney Channel.